Metrodata has today launched a range of cost-effective ‘always on’ embedded LAN & WAN Performance Test and Monitoring solutions for the Enterprise market under the company’s NetTESTER brand. Today’s Corporate Network Managers face greater challenges than ever before as they seek to maximize availability and minimise delays and congestion for their users. The three ‘V’s of VoIP, Video and Virtualization associated with the migration to cloud-based services, can not only affect bandwidth provisioning, but also cause real headaches through the need to minimise delays and maintain synchronization within today’s essentially non-deterministic networks. and its Contracted Service Provider(s). 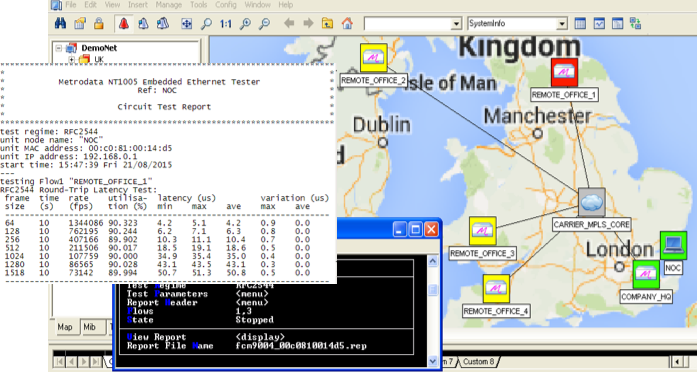 Network Managers need to understand critical characteristics including Throughput, Delay (a.k.a. Latency), Delay variation (a.k.a. Jitter) and Packet loss, in order to support both critical Corporate applications and an ever-increasing array of new mobile applications introduced by the ‘Bring Your Own Device’ (BYOD) paradigm of today’s generation of ‘switched on’ users. Modern packet-switched Wide-Area Networks (WANs), whether based on MPLS-derived IP-VPNs or Carrier Ethernet infrastructures, lack the well quantified, deterministic nature of earlier generation connection-oriented SDH/PDH networks. Service Providers themselves have generally been poor in monitoring their own performance characteristics right out to the point of customer connection, so offer little by way of assurance to their users. NetTESTER provides the tools Network Managers need to fully test LAN and WAN performance ‘on demand’, using low cost, always available, test devices embedded within the Enterprise network. 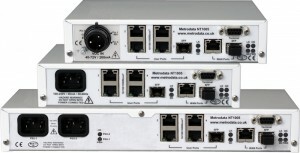 Operating under remote management control within both Switched and IP-Routed infrastructures, and supporting RFC2544 and ITU-T Y.1564 test profiles, NetTESTER devices generate test traffic, perform line-rate loop-back with address-swapping, and submit network health reports back the Network Control Centre, as a vital aid to performance verification and trouble-shooting. 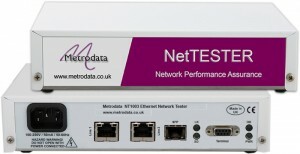 Moreover, through support of key performance monitoring protocols, including ITU-T Y.1731 (Carrier Ethernet Service-Level OAM) and IP-based ‘Two Way Active Measurement Protocol’ (TWAMP), NetTESTER devices provide ‘always-on’ monitoring of network characteristics during in-service usage and generate alarms in the event of breaches of pre-defined performance levels, which may form part of the Service Level Agreement (SLA) between the Enterprise and its Contracted Service Provider(s).